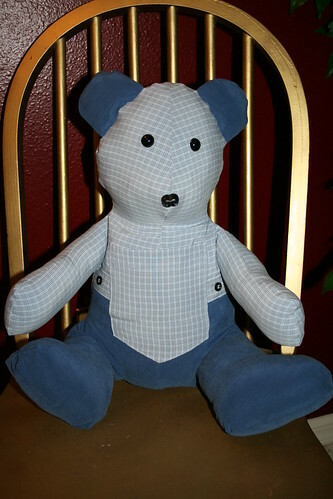 We make beautiful keepsake teddy bears out of cherished clothing. After discussing the overall design with the client and photographing each piece of clothing, we construct the bear using the fabrics provided. Since the entire body of the bear will be made with the clothing provided, the stiffness or softness of the bear will depend upon the fabric provided. We add a childsafe nose and a pair of child-safe eyes and any finishing touches. 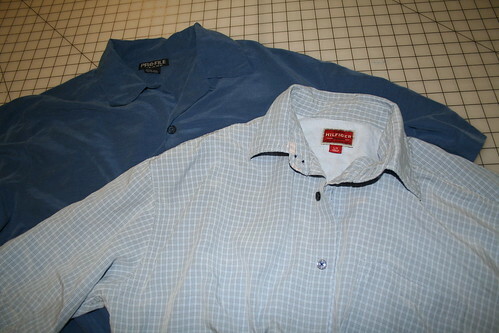 For the bear on the right, we removed a pocket from the shirt and added it to the stomach. We also used the front placard with the buttons to form the dividing line on the belly, so we were able to keep the buttons. Questions? Please call us at 321-287-0628 or email us at finalembraceonline@gmail.com.